This is the perfect coach for you and your significant other or a group of friends! There is a private room in the rear, the pocket door gives this effect. Through the door, there is a walk through bath, a slide out queen bed and a walk-in closet with a dresser!! The cook of the family will love this Forester kitchen for cooking up delicious family recipes with all of the stainless steel appliances. 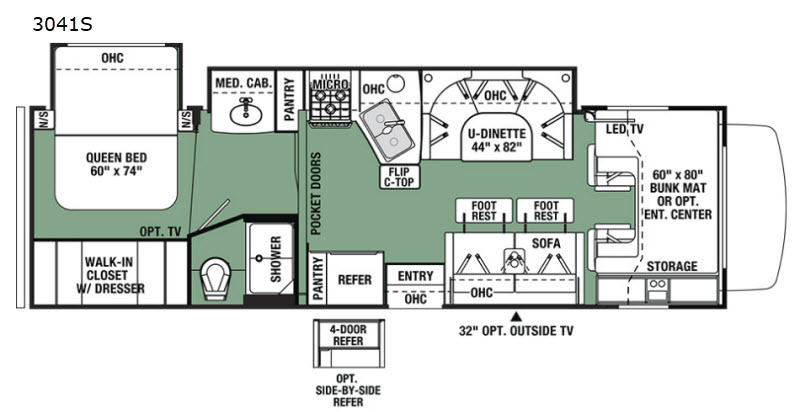 There is also a U-shaped dinette and a sofa for relaxing, playing games, or eating meals together. 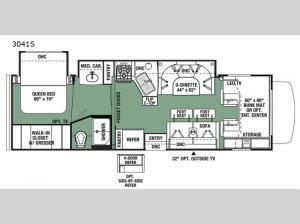 Come take a look at this model today! Basement Storage 78 cu. ft.